From its treasures to their foreign trade, from their economics to their politics, from their culture to their art Turkey is completely controlled of the American imperialism. American imperialism means for a colonial, or semi-colonial, country to be robbed from its treasures, hunger and distress for the people, and the shameless repression of national feelings under the American jackboots. As consequence of the repression policy, which pursued the oligarchy with its “Justice Party” (AP) government against the working people, the economic, social and political crisis was intensified, our currency was devalued, the misery of the working people frightening grown. The living conditions worsened. The Demirel clique of the oligarchy eliminated by the military wing of the oligarchy by the putsch on 12 March, because it was unable, the order with the own official laws to maintain in view of the discontent and the actions of our people. It was achieved that the cabinet Erim was used, because was expected that it will better protect the interests of the native and foreign monopolies. What was called of the law and order politicians cabinet crisis, is nothing one but the inability of the parties of the order to facilitate the exploitation by the American imperialism and the native dominant classes. The power vacuum, resulted from the incompetence of the parties of the order, permitted it to the military wing of the oligarchy to seize power under the mask of the present government. Also that is a temporary situation. The imperialistic exploitation mechanisms will still deepen the misery of the working people and will continue to make more difficult the living conditions. The oligarchy will charge the discontent of the people again Erim to the inability of the cabinet and will replace it by a new clique. This mechanism will continue to function, and the juntas will follow each other. Some as “Ataturkist” and “secular”, others “reformist” will be called, and everyone times the patriotic intellectual ones will give them confidence, and if they notice that they were deceived, them again a “progressive” upswing will expect. In the countries filled by the imperialism these mechanisms function always in such a way. In our country they will function also in such a way, until they will smash. It is ridiculous to speak of a constitutional state if even the smallest a national liberation and democratic activities suppressed, which the national liberators are murdered in an abject manner in the open street, before the eyes of the people, are blutduerstig tortured, in torture chambers. It is pure naivety, in our country of condition to speak of citizen rights and even of human rights except if this due to ulterior motives occurs. In view of the imperialistic suppression and the counter-revolutionary force is the only solution to access to the weapons. Our party sees release in the armed fight of the people. The present form of our war of liberation is the guerrilla war. Our party believes to be defeated that the enemy only for reach, difficult and bloody people’s war can, which is led together by all patriots, and which see a party in this phase the urban guerrilla warfare as basis of this war. 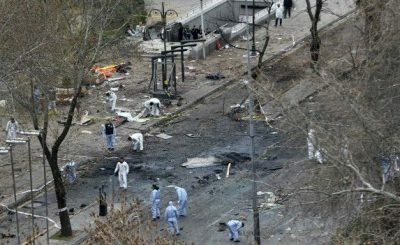 The present objective and subjective conditions require, compulsively, that the guerrilla war is fought in the cities. The present stage is the first stage of the first phase of the people’s liberation war. 3. Our party strengthen, which makes different experiences in it as a true fighting organization of the people. A war organization can develop only in the fight. Briefly said, the stage in which we are now, is characterized by the reinforcement of the discontent, the riot of the people, and particularly the working class, its agitation to the armed fight and by reinforcement of the structure of our party. The second stage of the fight is the expansion of the guerilla on the whole country and the beginning of the guerrilla war in the country. In the third and fourth stage the transformation of these forces will then take place into a regular army. We can over the duration of these stages for the moment nothing say. Our present function is the systematic and courageous fight this way. The way to the release of the people, everything in front the working class, leads across the guerrilla war. One must emphasize this strategy, which was disfigured by the Opportunisten and revisionists. The class warfare of the proletariats is led at the same time at three fronts: the ideological, economic and political. The revolutionary fight of the proletariats against the ideology and deceptions of the Bourgeoisie is an ideological fight. The fight for improvement Arbeitsund living conditions, daily led by the working class and the revolutionary masses, is an economic fight. The fights, which are directed directly against the government of the reactionary classes, are political fights. The political fight carries out itself in different forms: of political propaganda by the revolutionary media up to the political mass demonstrations, from political strikes to the guerrilla war. The guerrilla war is the highest and most effective form of the political fight. The revolutionary party fights at all three fronts and uses thereby the possibilities of each individual front optimally. Our party is endeavored, the fight against the imperialism to lead against the native dominant classes and against its accomplices in ” linking ” at the same time at three fronts. The revolutionary practice of all countries shows that the deviations that is based to linking on neglecting or the underestimation of one or several of these three fronts. Our party places itself both against all pacifist and revisionist directions and groups, which reduce the class struggle to publications of newspapers and organizing of legal actions, and against all “links” directions and groups of the focoist, for which the guerrilla war is the only form of the class struggle. Both deviations are currents, which delay and prevent the release of the working masses. The pacifists in our country maintain that we are still in the stage of the evolution and that therefore the objective conditions for the armed fight in this stage are not yet available. This statement is from reason on unsatisfactory and falsely. The target of such analyses is to veil their surrender with an ideological coat. In one of the imperialism can one did not fill country the stages of the evolution and the revolution sharply separate; they interlink rather. Additionally the imperialistic occupation means that the enemy falls back to force, terror and weapons. This proves the presence of the objective conditions for the armed struggle. Our party, which leads at present the fight for power, is not yet able and stage to take over power. One can speak only in the stage of the fight, led by regular armies, of a seizure of power in the whole country. And we do not state that we are today in this stage. We say only that the guerrilla war is necessary, so that the revolutionary fight of our people achieves this stage. With this target we fight. In the present stage the people’s liberation war in the form of the urban guerilla is led. Our party binds the form of the political fight at certain rules. The targets in the fight of the urban guerrilla are the imperialistic forces, the monopol-bourgeoisie and their awake dogs. Our party supports all actions, which hit these targets, reprimands however all actions decided, which rise from the gangsterism and not our targets. 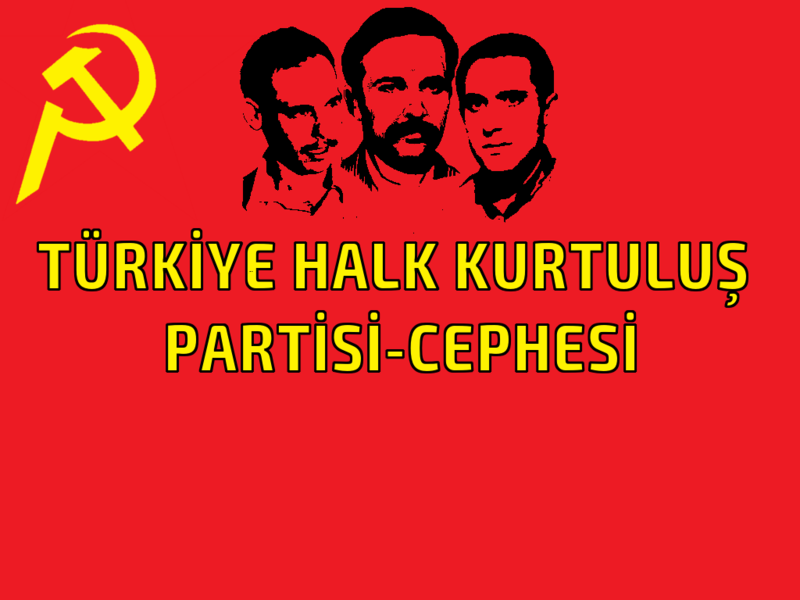 The PEOPLE’S LIBERATION PARTY OF TURKEY consists of fighting partisans. The PEOPLE’S LIBERATION PARTY OF TURKEY considers the unit of the political and military leadership fundamental. 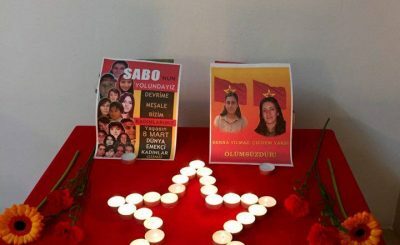 The people’s army will give birth to the guerrilla war, which is led of the People’s Liberation Party of Turkey (THKP), after it is enough and will go through different intermediates phase. The way of the revolution in Turkey is the way of our party. The way of our party is the way to the liberation of our people. DHKC Fighters Cigdem Yaksi And Berna Yilmaz Are Immortal! They hanged, they cut throats, they slaughtered and imperialism said, here you are, Anatolia is yours!